It's always a fun time in New York, but it's even better with your best friends. Annie, Wendy and I had a total foodie trip in mid-January and hit up a long list of restaurants, bars and bakeries. It was a perfect vacation: a little bit of shopping, lots of eating and drinking and enjoying some girl time in the city that never sleeps. We caught the red-eye to JFK from the Long Beach airport (me) and LAX (Wendy and Annie). Tickets were around $318 over Martin Luther King Jr. weekend, and the hotel was an amazing steal — we booked a room at Best Western President Hotel near Times Square for $123/night. 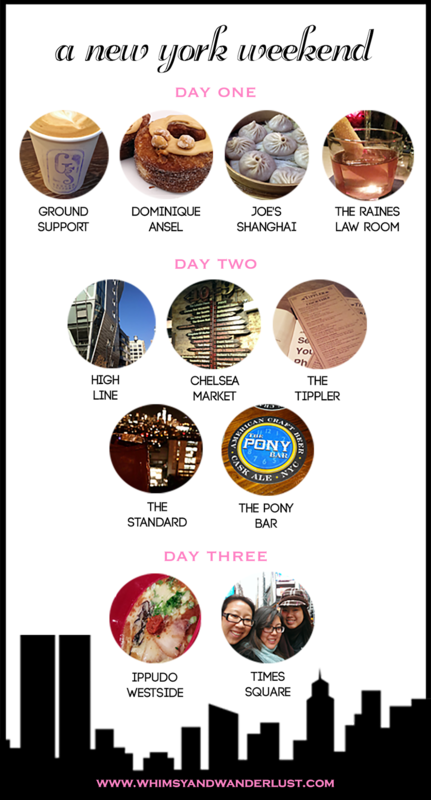 When we landed, we figured we'd just store our bags and head back out for cronuts, the first item on our itinerary. We got really lucky though, and a room was ready for us — and it turned out to be a suite! I think we were upgraded, because we were all amazed at how much space there was in the room. After we freshened up, we braved the subway and made our way downtown to Dominique Ansel Bakery. I wasn't sure what to expect, but I think it was so cold out that the line wasn't nearly as long as it usually is; either that or the cronut craze is finally dying down. At 8:15 a.m., we grabbed winter passes that let us come back between 10 and 11 to be guaranteed two cronuts each. In the meantime, we took a quick trip down the street to Ground Support, a cute little coffee shop where I had an amazing almond milk latte. 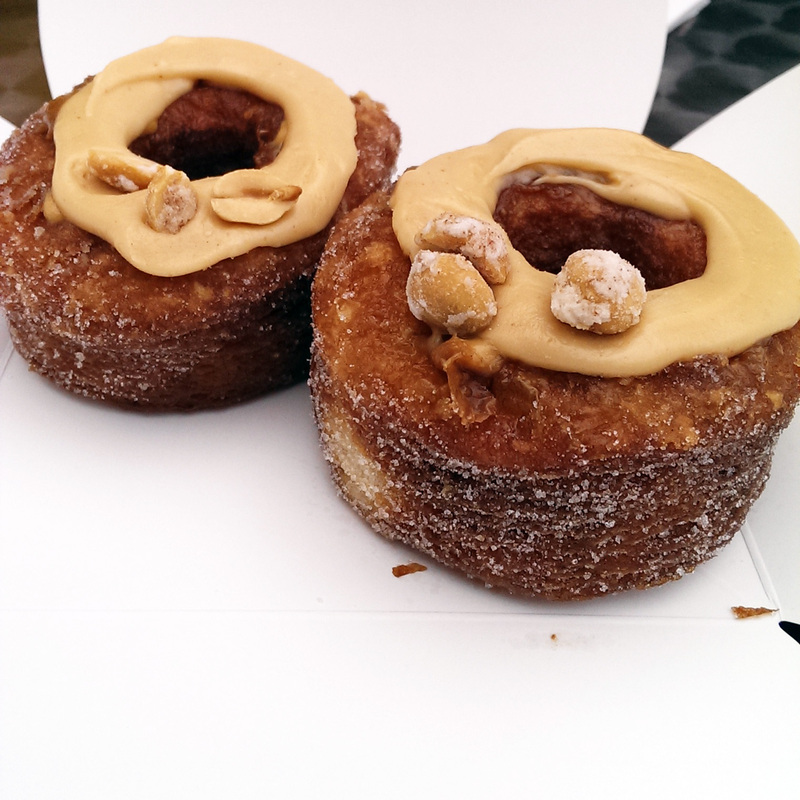 We finally got our cronuts (peanut butter rum caramel), and it was absolutely worth the wait. So good, but also so rich. I ate about half, then saved the other one for the end of the day, when it tasted even better. Ponyboy and Tofu met up with us a little later, and we spent the rest of the day wandering around SoHo (for shopping) and Chinatown (for soup dumplings at Joe's Shanghai). 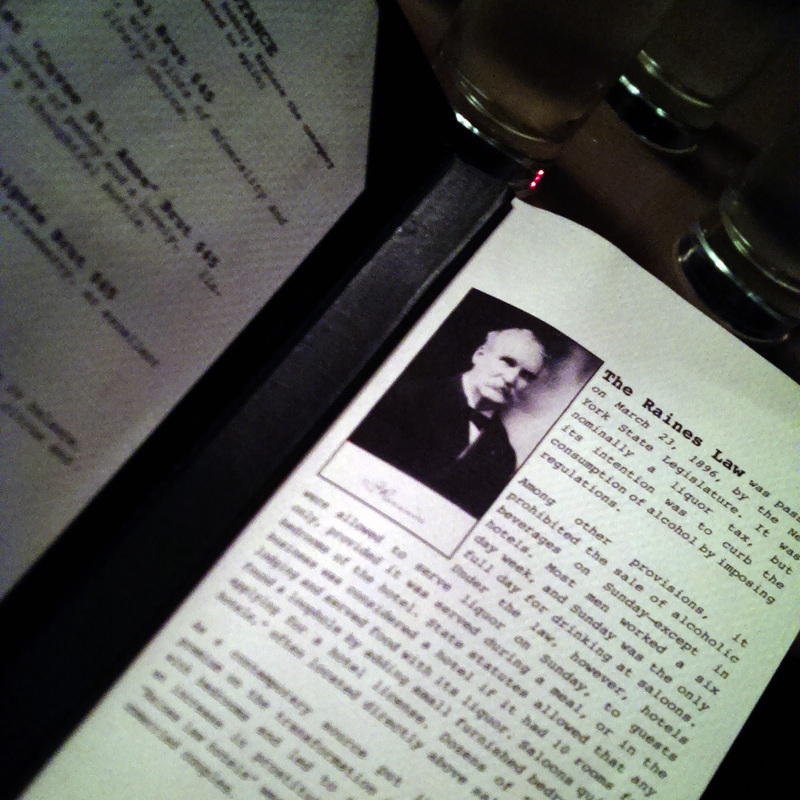 Later that night, we made our way over to The Raines Law Room, a speakeasy I read about at work. So much fun — we had a private little cabana space and a doorbell to ring for service. The next day, I met up with my mom's cousin Janet and her family and had breakfast at a cute little place called Cafeteria. I got a tour of the Spotify office — another trip highlight — and then Janet acted as our tour guide while we walked the High Line. She directed us to Chelsea Market for lunch, and we had way too much fun taking photos in front of the light installation in the center of the building. Wendy and I grabbed a quick sandwich at a deli while Annie shopped a sample sale, then went across the street to get coffee from Blue Bottle. 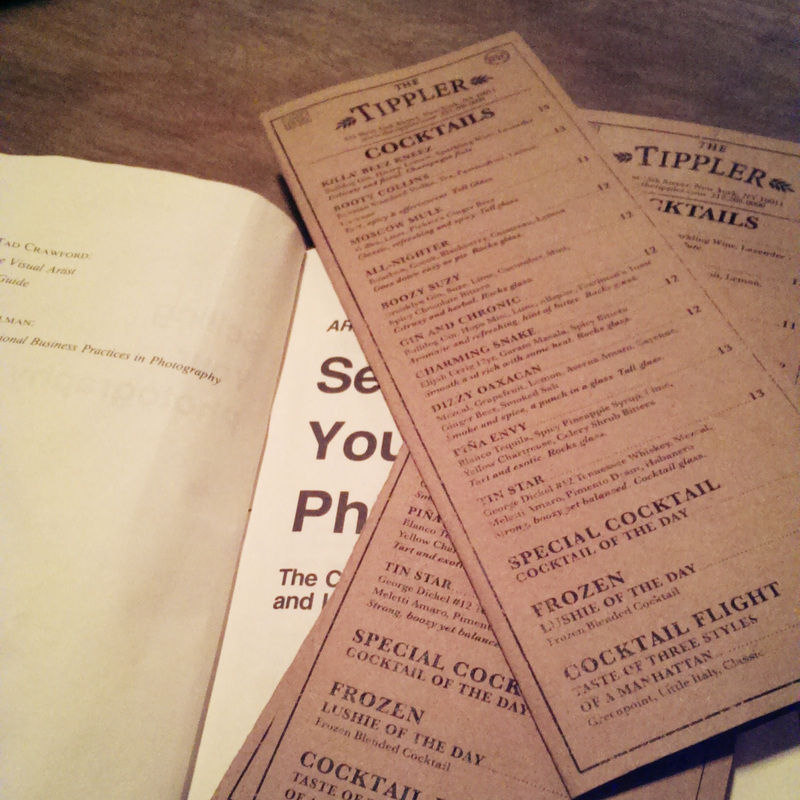 We sketched out our game plan and decided to get a drink at The Tippler, another speakeasy on the basement level of Chelsea Market. After a couple mishaps — including accidentally taking a service elevator down to a storage room — we found the bar. It was considerably less chic and glamorous than The Raines Law Room, but I loved the laid back vibe. We had a few rounds there, and Annie tried a flight of Manhattans. It was on to the next bar after a couple hours, and we walked it over to The Standard Hotel in hopes of getting into the Boom Boom Room, despite being hopelessly underdressed. 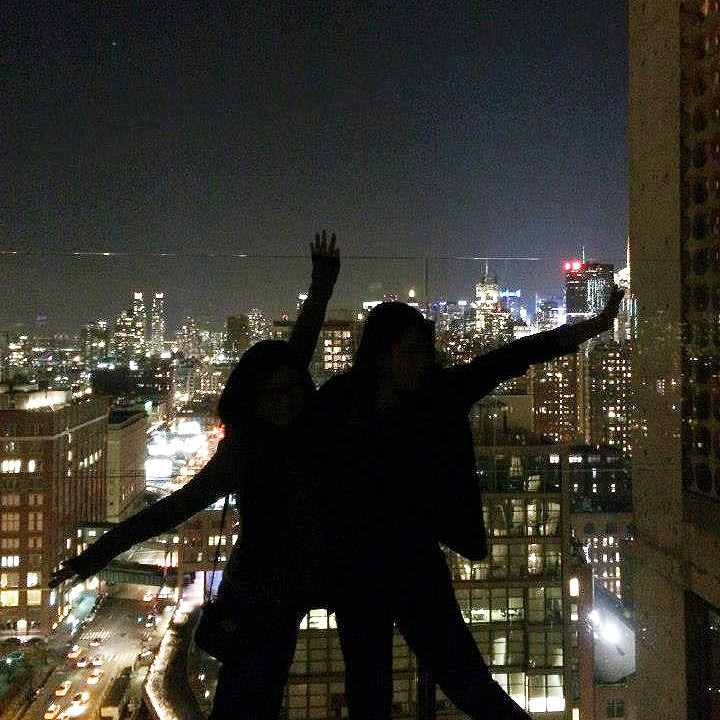 We ended up just enjoying the view at the penthouse bar, and braved the cold to go on the roof without a jacket to take pictures. Of course, a night in New York isn't complete without a visit to one of my favorite places: The Pony Bar. I went the first time two years ago with Wendy and, obviously, Ponyboy. The name drew me in, but they seriously have an awesome selection of American craft beer. It was packed, so we only stayed long enough for a couple rounds. We were getting kind of hungry by then, so Annie looked up places to eat and found a bar that offers a free hot dog when you order a beer. I think it was called Rudy's, but honestly, at that point, the only thing I really remember is how delicious that hot dog was. We called it a night after that and made our way back to the hotel, but it was a great way to wrap up the weekend. The next morning, we checked out and made our final stop to Ippudo Westside, which Annie had been dying to try since we got there. We got lucky and got seated right away — the ramen was great, but the pork buns would have been worth any wait. On the way back to California, we all finally got to sit together on the plane — which happened to be one of the new American Airlines models with seat-back TVs. We watched "The Family," enjoyed rum and cokes and snacked on popcorn and pastrami sandwiches. Next up on our list of destinations is Chicago — hopefully in September!